The game takes place in the aftermath of the Calamity, a catastrophic event that suddenly fractured the city of Caelondia as well as the surrounding areas of the game's world into many floating pieces, disrupting its ecology and reducing most of its people to ash. Players take control of the Kid, a silent protagonist who awakens on one of the few remaining pieces of the old world and sets off for the titular Bastion, where everyone was supposed to go in troubled times. The only survivor he meets there is an elderly man named Rucks, the game's narrator, who instructs him to collect the Cores that once powered Caelondia. 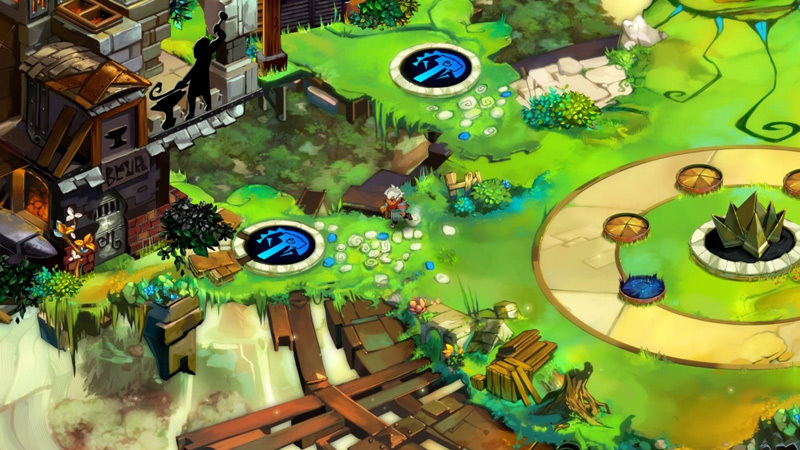 The world of Bastion is brought to life with some truly exceptional hand-painted environments. Every stylish bit of scenery is filled with tiny touches that add to the game's fairytale vibe. While the world may be filled with color, its muted tones help underscore a somber tale that grows darker and darker as you progress. It's a wonderfully crafted adventure that presents a fun and focused challenge you can customize in all sorts of ways. 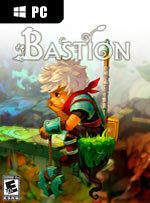 Bastion is special. The soundtrack is phenomenal, the world is breathtaking, and the narration is a brilliant new idea for gaming. 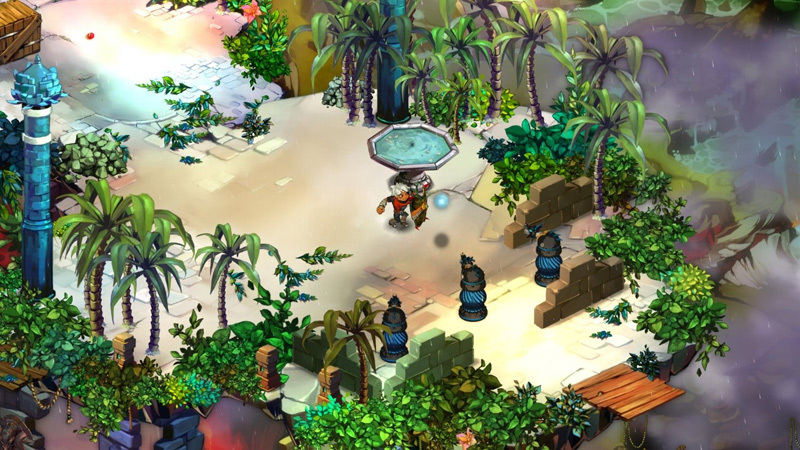 Finding a new enemy in a normal hack-and-slash is an uneventful affair – you kill it and move on. But in Bastion, the entire battle with Sir Lunky – a giant, colorful frog with a stone-covered head, in case you were wondering – is narrated and given soul. When I beat Bastion for the first time, I reloaded my save and played through for the second ending. When that was done, I started my new game plus. 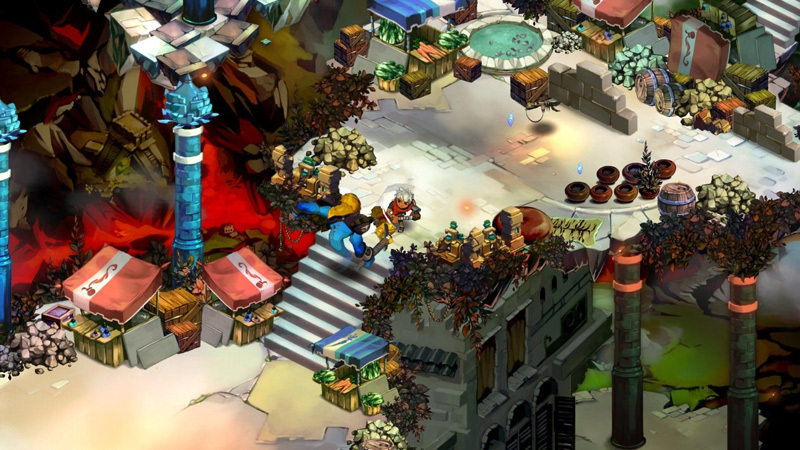 I'm not the repeat type of gamer, but Bastion's leveling, weapon upgrades, and difficulty tweaks are just too gosh-darn addictive. The story could've been better, but it doesn't matter. Nothing is ever set in stone, which encourages you to explore every option rather than be damned with your poor judgements. It’s a world you’ll want to explore again and again: even if the adventure is a linear one, it’s the feeling of choosing your own fate that makes it so immersive and compelling. Whenever the player is given so many micro-decisions, the fact that we aren’t in control the large ones is obscured. That’s what great game storylines are all about: the illusion of choice, which Bastion succeeds in maintaining from start to finish. 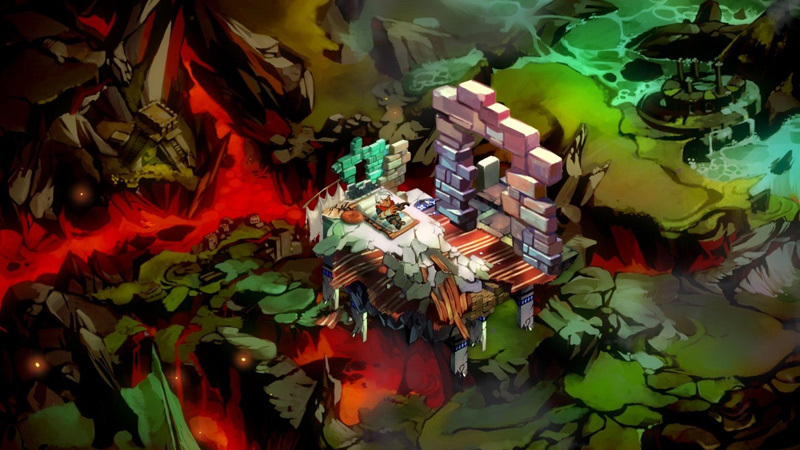 Bastion puede parecer un videojuego muy sencillo, y de hecho en algunos aspectos lo es, pero también es una nueva demostración del maravilloso estado de forma que atraviesan los videojuegos descargables en cuanto a la diversión que proporcionan. Un Action-RPG de la vieja escuela que hará las delicias de los fans de la acción y también de los aficionados a las aventuras más vistosas y genuinamente narradas. 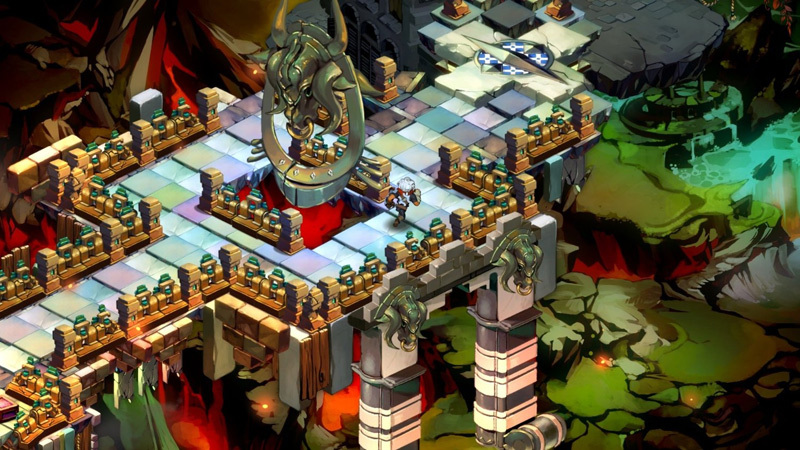 Accessible et novateur, agréablement réalisé, Bastion fait partie de ces nouveaux jeux de rôle orientés action qui enchantent les amateurs du genre depuis quelques années sur les plates-formes de téléchargement. Que ce soit pour son design coloré, sa narration en temps réel ou ses mécanismes de jeux efficaces, on aura tous une bonne raison de télécharger ce titre très rafraîchissant.